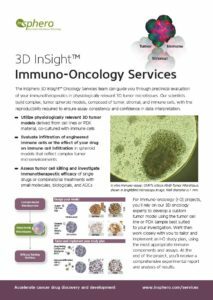 3D InSight™ Tumor Microtissues can be tailored to assess antibody-based targeted tumor cell killing, such as immunotherapeutic strategies that seek to modulate the immune response by promoting recognition of tumor antigens by T-cells using monoclonal or bi-specific antibodies. 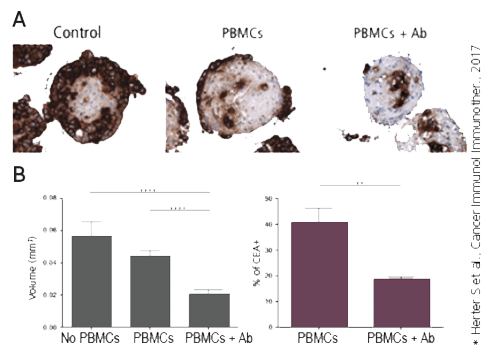 Immune-mediated tumor cell killing: A) IHC staining identifies the tumor-specific marker CEA (brown) in heterotypic LoVo (colon)/MRC-5 (fibroblast) microtissues treated with immunomodulatory antibodies causing immune-mediated cell death. 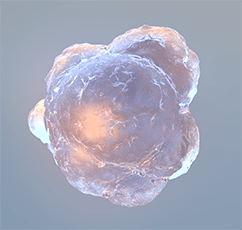 Cell killing is tumor-specific as shown by removal of the outer cancer cell population. 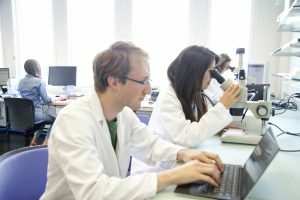 The stroma core region (fibroblasts) is not affected. 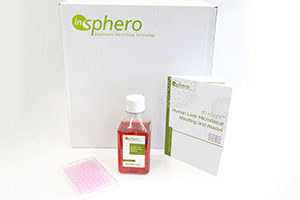 B) Tumor cell elimination is quantifiable as measured by reduction in spheroid size (left) and by CEA staining followed by flow cytometric profiling of dissociated spheroids. 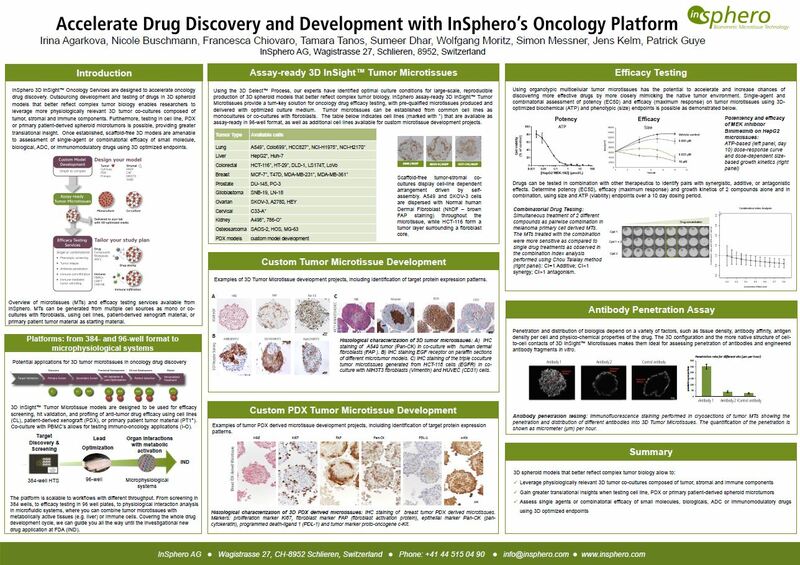 using advanced 3D tumor models.